These days there are two general concepts of a bridal portrait. Classic and the other is a bridal photo session. A bride classic portrait is more of a middle close up of the bride, generally with no background. The other bridal portrait session is usually on location and can be photographed both half or full length, for me I love including any of the theme selections we made with the bride and including those backgrounds.This is also known as a lifestyle portrait. Where the emphasis is given to suggest the style of Living as an editorial, fashion photographer, that is what I try to accomplish and capture for my bridal portraits in Charleston SC. This image in particular and most of my bridal portrait are just that. I love how I photographed this bride, using all of the elements from this building in Charleston, South Carolina, by including the background of The Custom House. Exposed properly by not having to much contrast difference between both the building and the bride by letting your eyes, still enjoy this beautiful image. 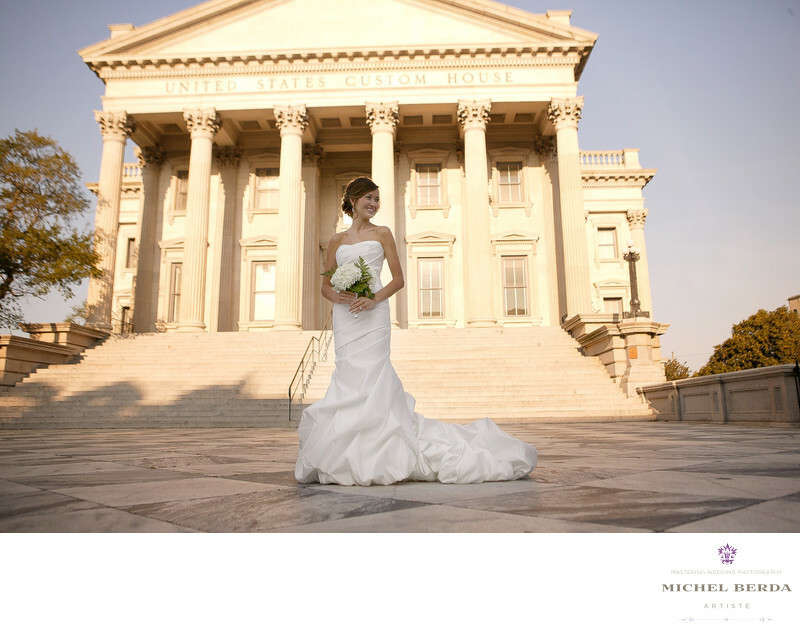 Keywords: Bridal Portrait (84), Bridal Portrait Photographer (84), Charleston (1179), Custom House (12), East Bay Street (9), sc (309), Wedding Photographer (1254).